Sometimes events catch us off guard and there just isn’t time for a full custom order. Lucky for you, we keep a beautiful selection of off the rack suits and shirts! With about 3 weeks time, our alterations team can adjust these suits to fit a wide range of bodies. Selections are limited, so please give us a call to see what is available. 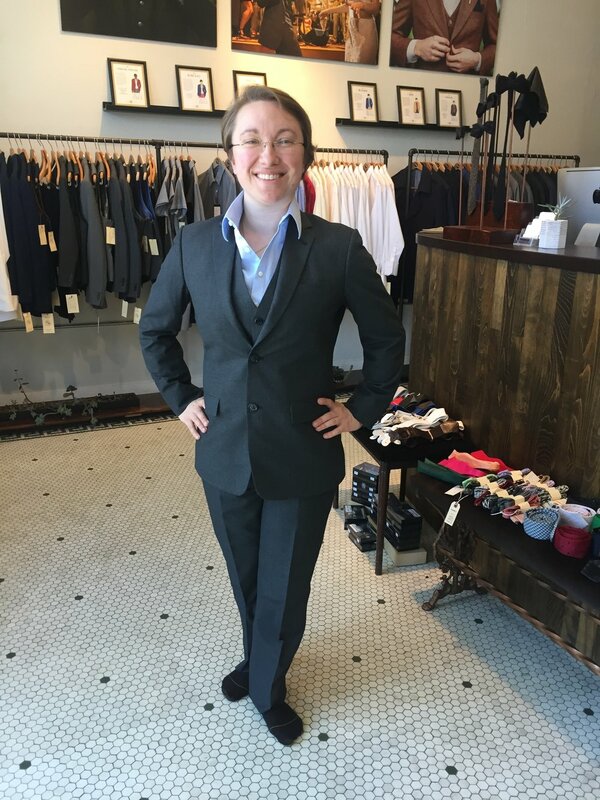 Purchase a full 3-piece suit or just the separates you need! Purchase 5 custom shirts from Duchess Clothier, and receive the 6th shirt free! Buy all 6 at once or start with just one and work your way up. We will keep your measurements and fabric choices on file so ordering more is a breeze! You will even receive a special membership card in the mail, so you know you’re officially in the club. Note: Duchess Shirt Club is per individual; no joint memberships allowed. For clients who are not able to see us in person and whose measurements we already have, we can work with you via email or mail. Shipping is not included in Shirt Club pricing.